Alaglide® is the door opening and closing system for cubicles that uses an innovative patented roto-translating and space-saving mechanism. The movement generated by Alaglide reduces the door operating space benefitting the user. Between 36% and 66% space saved compared to a conventional cubicle. To ensure maximum safety, the system is equipped with EEM – Emergency Exit Mechanism that allows you to release the door panel turning it into an outwards-opening swing door allowing authorised personnel to enter. The emergency opening mechanism is operated via a universal key. 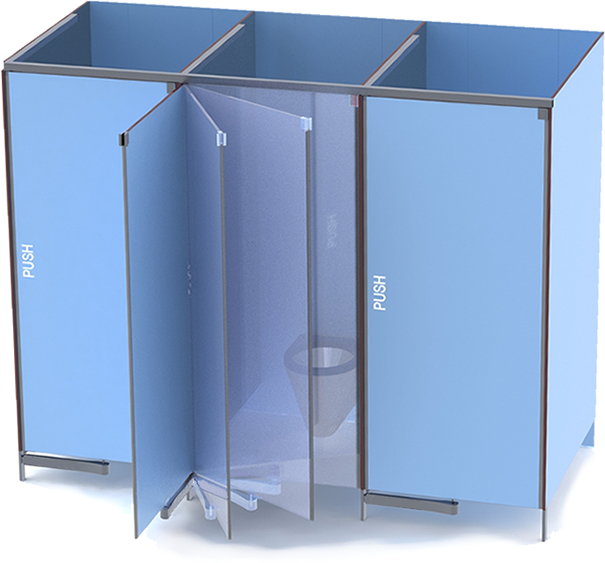 Alaglide® is the door opening and closing system for cubicle WCs, showers and changing rooms, made from HPL, glass or both materials in various thicknesses and is ideal for installation in high-use public and commercial places. Want to get in touch with Alaglide®? Ges Group was established in 1997 and specialises in furnishing hospitals, schools, sports centres and tourist and industrial environments, designing reliable structures in terms of hygiene and safety. At Excelsior, we have undertaken the manufacture, supply and installation of bespoke washroom products in all washroom environments since 1978. 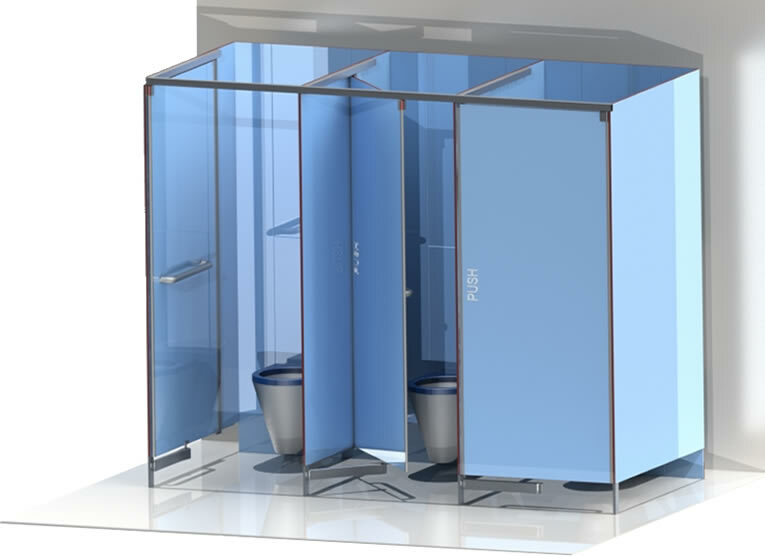 Crawford Integrated Systems are the leading Scottish manufacturer, supplier and installer of commercial washroom cubicles / panelling and sanitary ware combined. Decrobond are one of the largest independent manufacturers of doors, door sets, cubicles, washroom systems, locker systems, integrated plumbing systems (IPS) and boards in the north of England. With over 25 years’ experience, Inscape Interiors and our staff have been working with and supporting the construction industry since 1991. Aaztec have specialised in the design, manufacture and installation of high quality cubicles and washrooms since 1992.